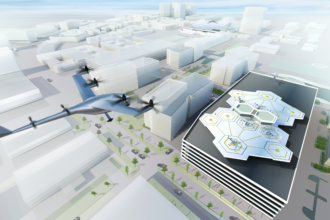 An illustration shows what Uber's flying vehicles will look like. The Elevate initiative is partnering with Bell Helicopter and Hillwood to roll out the new offering in 2020. 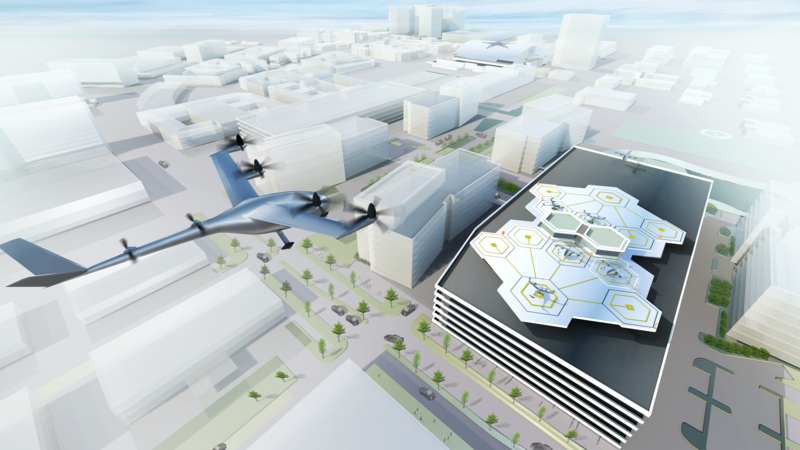 An illustration shows what Uber’s flying vehicles will look like. Dallas-Fort Worth residents and visitors could soon skip traffic and travel across the area via aircraft. The region was selected as one of two metropolitan areas in the world, joining Dubai, to explore Uber’s Elevate initiative, its latest transportation project that will airlift passengers via vertical take-off and landing aircraft the company is currently developing. The goal is to have the first demonstration of the Uber Elevate Network by 2020, to match up with the 2020 World Expo in Dubai. Dallas Mayor Mike Rawlings and Fort Worth Mayor Betsy Price both support the initiative. Uber made the announcement at its inaugural Elevate Summit in Dallas. “This is an opportunity for our city to show leaders from around the world and across industries why Dallas should be a part of building a better future for urban mobility,” Rawlings said in a release. Uber has partnered with Hillwood Properties, led by Ross Perot Jr., and plans to develop additional infrastructure partnerships with real estate companies in Dallas and Fort Worth. Hillwood, for its part, has agreed to develop three “hubs” capable of operating the aircraft exclusively on the Uber network by 2020. Uber also has partnered with a number of aircraft manufacturers to build the aircraft, which are expected to carry two to four passengers. Fort Worth-based Bell Helicopter is one of the partners working to develop the aircraft. Uber announced plans to develop the aircraft last year.